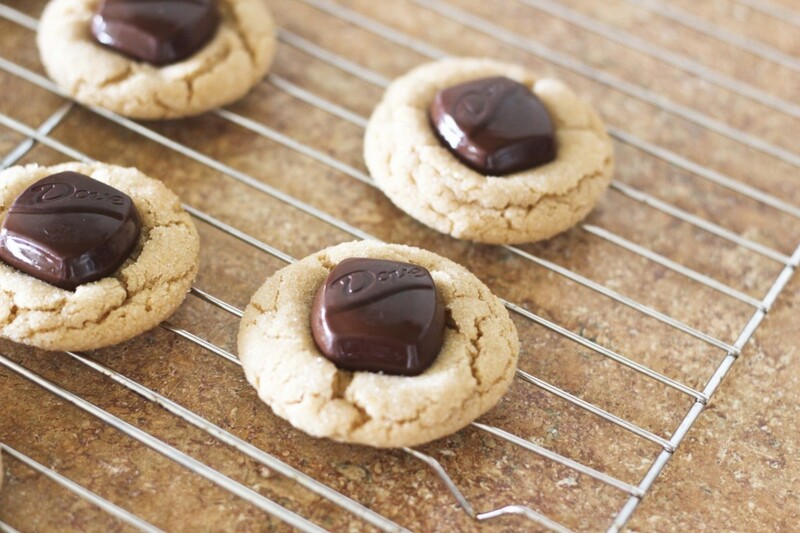 Peanut butter blossoms are a classic cookie. And when it comes to the classics, you can almost guarantee that the variations will all be great too! 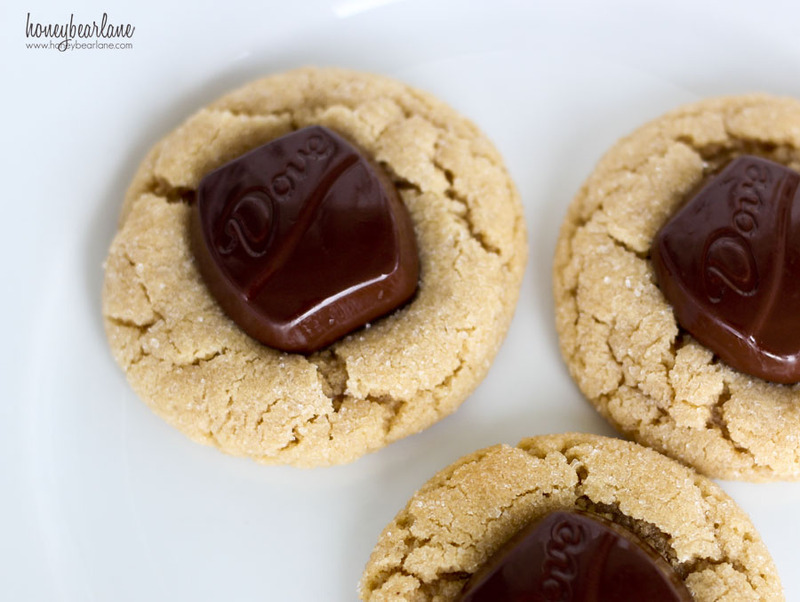 Have you tried peanut butter blossoms with dark chocolate? 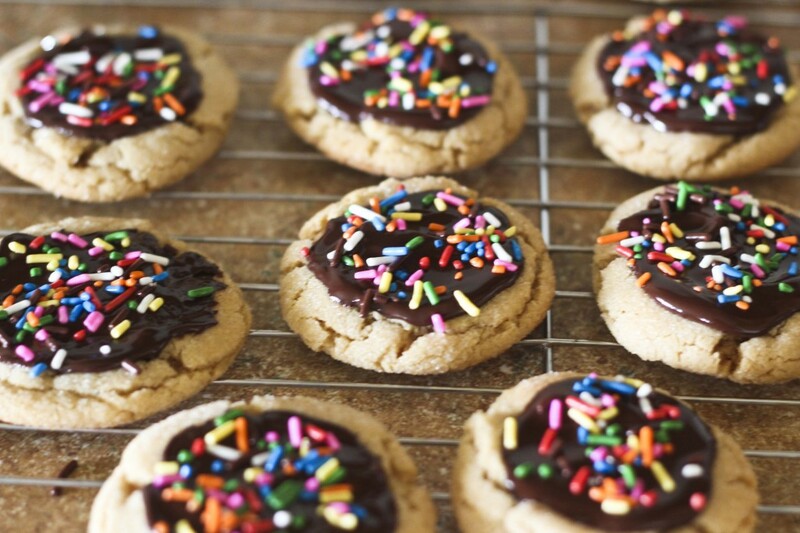 Have you tried them with dark chocolate and sprinkles? 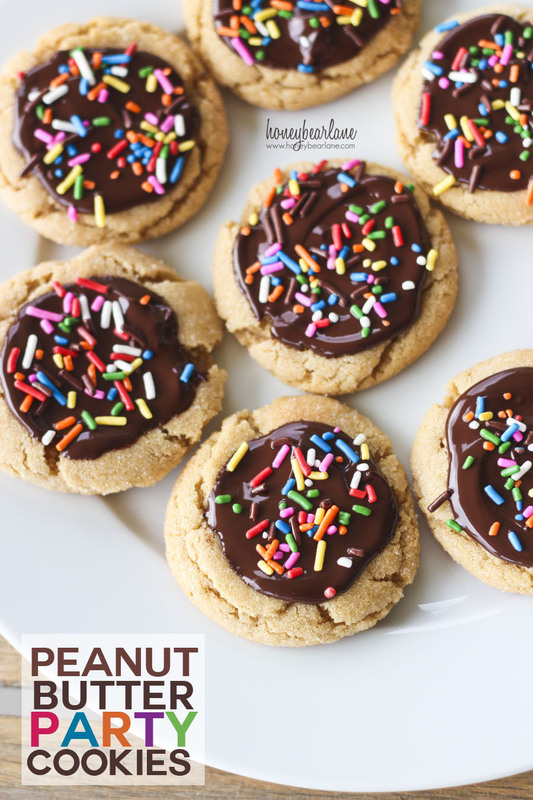 What a great way to ring in the new school year by making peanut butter PARTY cookies! Blend the first six ingredients together, then slowly add the the baking soda, salt, and flour. Mix well. 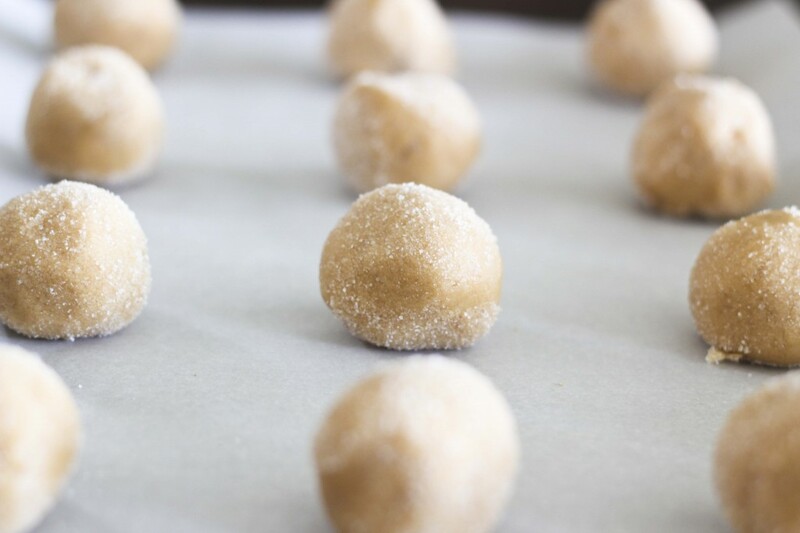 Roll into 1 inch balls and roll in sugar before placing on a baking sheet with parchment paper. Bake at 375 for 8 minutes. When they get out of the oven, immediately press a Dove chocolate into the center. Wait a couple minutes, then spread out the chocolate and top with sprinkles if desired. After you’ve mixed the dough, roll it into small 1 inch balls and roll them in white granulated sugar. 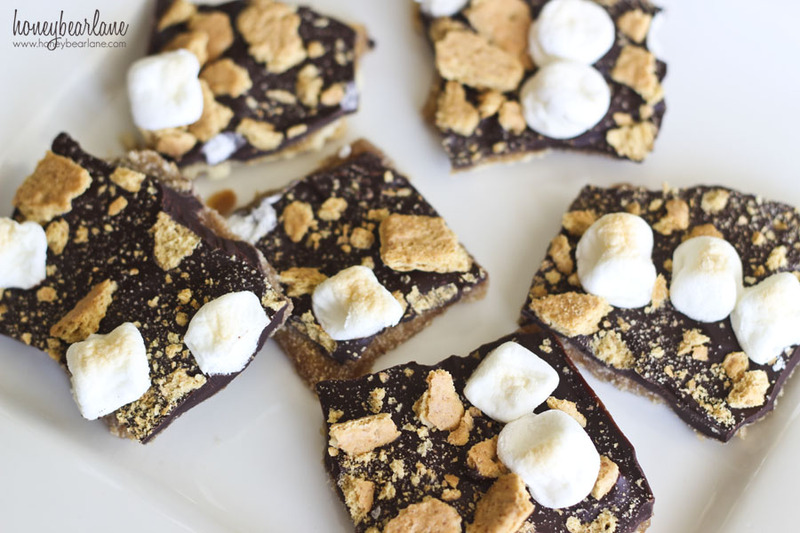 Place them on a cookie sheet with parchment paper and bake for 8 minutes in a 375 oven. When they come out, place an unwrapped Dove chocolate in the middle of the hot cookie and push it down. Transfer the cookie to a cooling rack. After a couple of minutes, the chocolate will be melty and you can take a knife and spread the chocolate around. Top with some fun party sprinkles and then cool. That’s the PARTY version! The kind that will perk up your kids’ day after they get home from school–starting a new school year–which can be overwhelming. These cookies are a great way to welcome in the new school year. They are also great for slipping into lunch bags, especially if they’ve been chilling in the fridge first. I’m excited for school–my kids are excited too, and these cookies just ARE the way we feel! 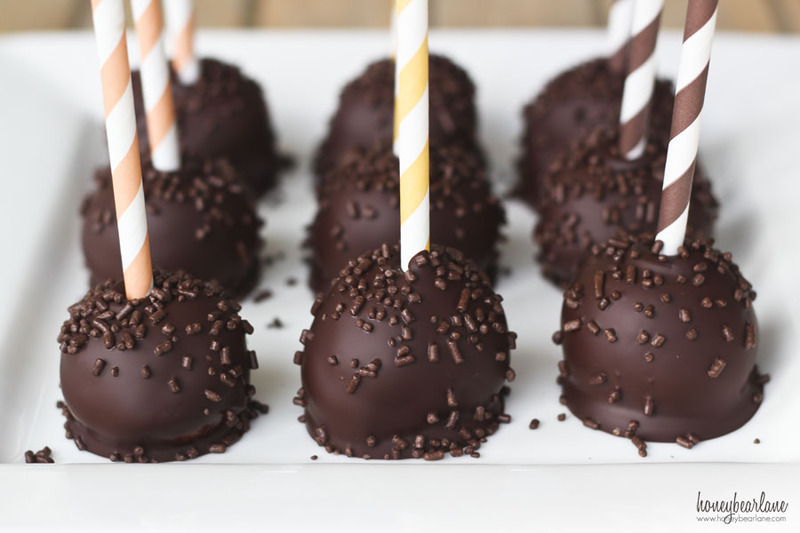 and my Peanut Butter Cake Pops recipe! And then visit Dove on Facebook, Twitter, and their Website. 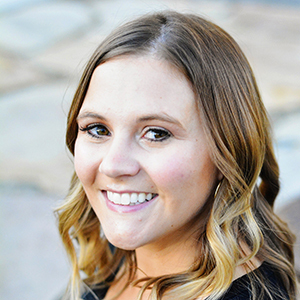 Compensation was provided by DOVE® Dark Chocolate via MomTrends. The opinions expressed herein are those of the author and are not indicative of the opinions of Dove or Momtrends. Anything with peanut butter tastes better! These cookies look delicious! 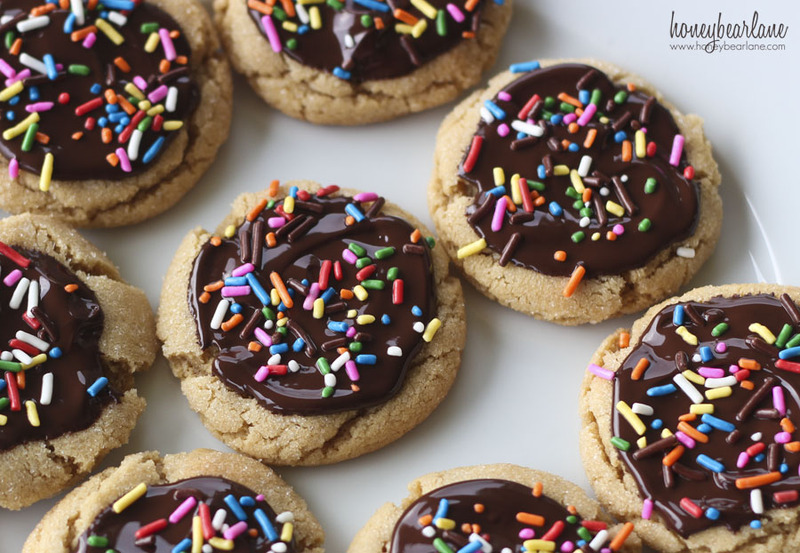 These cookies look mouth watering! Will be making them for the kids!